Tioga County Rural Ministry announces the reception of a grant of $7,000.00 from the Tioga County Senior Citizens Foundation. This funding is a boon to their efforts to provide emergency assistance to low-income Tioga County seniors in need. These needs range from heat and utilities to car and home repair, to prescriptions and other medical needs. TCRM is grateful to the Foundation for their generosity. Their financial gift enables TCRM to touch the lives of many who, after years of providing service to their community, now find themselves struggling to make ends meet. 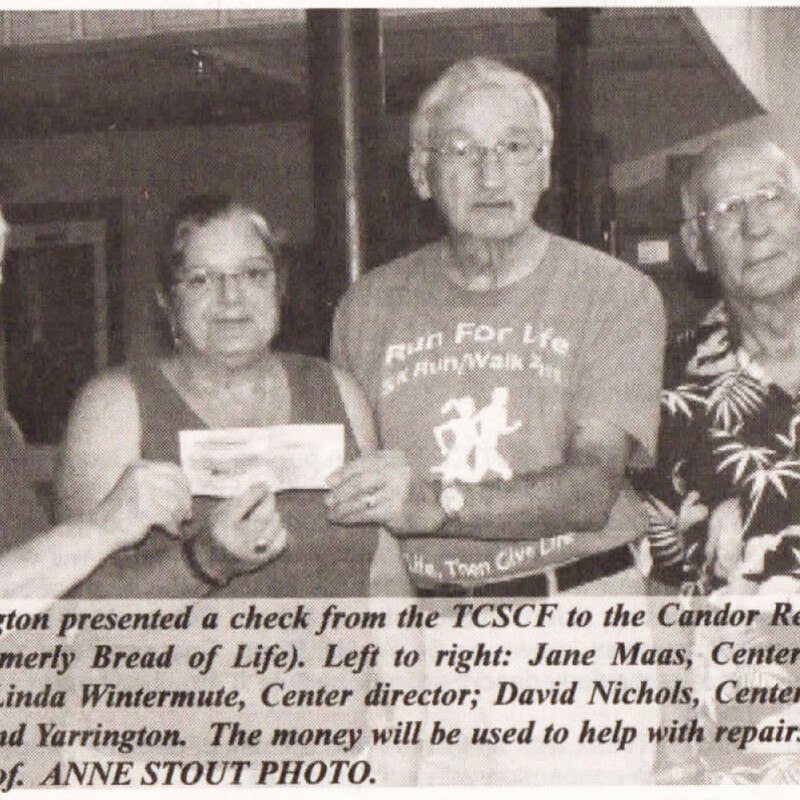 (As appeared on OwegoPennysaver.com – November 14, 2014) The Resource Center of Candor, Inc., also known as the Bread of Life Food Pantry, wants to thank the Senior Foundation for the grant of $1,000 towards the purchase of two windows for the front of the coal barn. They have made many upgrades to the building including a new heating system. With the new windows, they will not have the heat loss that we have had in the past. 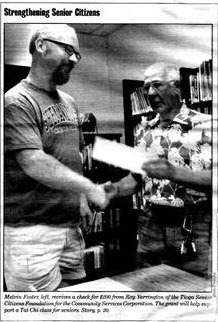 (As appeared on OwegoPennysaver.com, September 19, 2014) The Tioga County Senior Citizens Foundation recently stepped forward with two generous donations to Tioga Opportunities, Inc. to offset costs for two valuable programs offered by Tioga Opportunities, Inc. First, a grant was awarded to support this year’s very successful 2014 Group Workcamps program held during the last week in July in Tioga County. During the weeklong program, property enhancements were completed for 56 county residents. In the eight years since Group Workcamps has been active in Tioga County, 368 homes have benefited from various improvements including exterior and interior painting, small porches or decks, wheelchair ramps and mobile home skirting. The estimated economic impact of the enhancements, as well as the dollars spent in Tioga County for supplies and materials, along with food and housing for the campers, is now well over $1 million. The donated funds will help tremendously with expenses incurred for the purchase of needed supplies and materials for project completion. 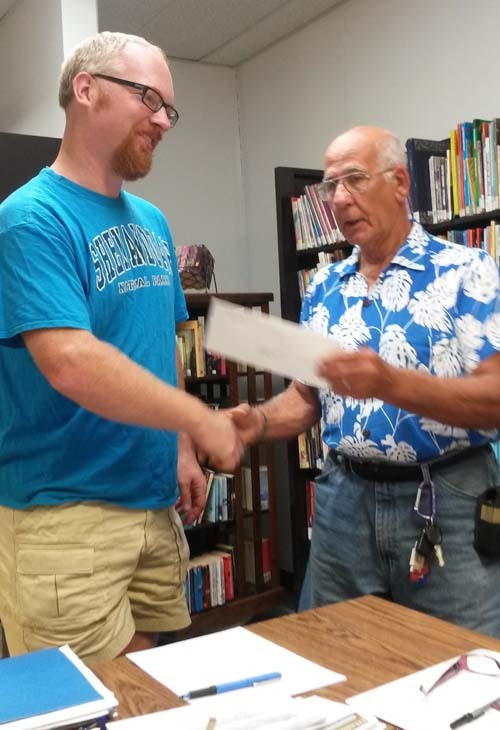 Secondly, a grant was awarded to support the seven food pantries and one soup kitchen located across the county and financially administered by Tioga Opportunities. Erin Summerlee of FaHN offered estimates of food insecure individuals in 2012 for Tioga County to be 2,170 children and 4,770 all residents; making it 18.3 percent of the children and 9.3 percent of residents. Such statistics are supported in the numbers of individuals who participate in the TOI food pantries and soup kitchen. 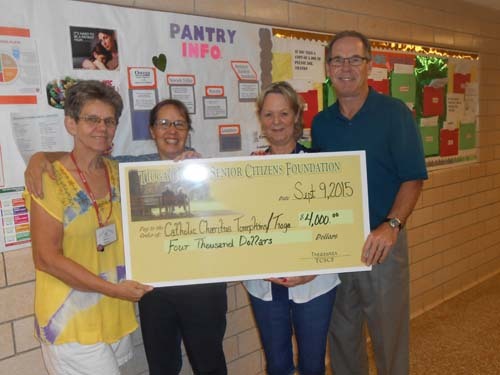 Simply stated, Tioga Opportunities, Inc. is grateful to the Senior Citizens Foundation for recognizing the value of these programs and then delivering the financial support crucial for their continued success.